Aesir belong to various Elements, each of which has its own advantages. 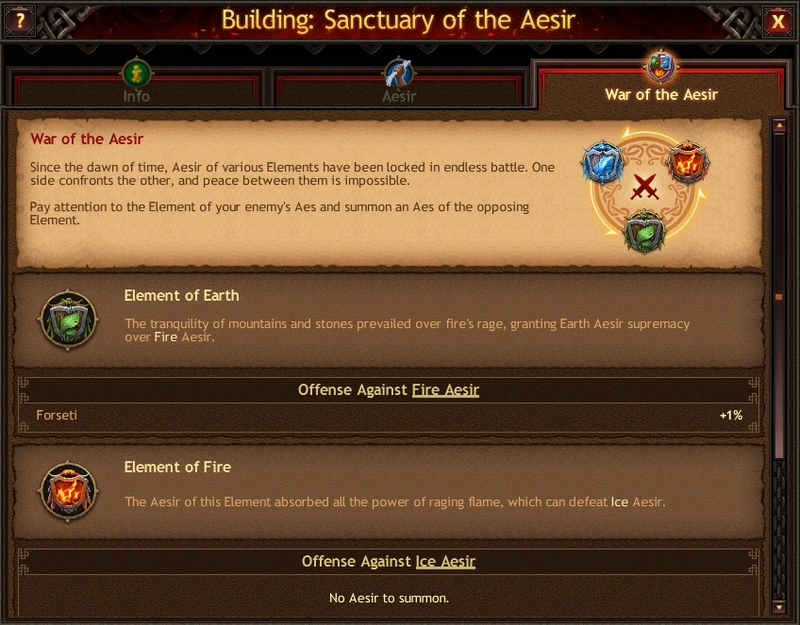 Earth Aesir give a bonus to troop offense against Fire Aesir. Fire Aesir give a bonus to offense against Ice Aesir, and Ice Aesir give a bonus to offense against Earth Aesir. Pay attention to the Element of your enemy's Aes and summon an Aes of the opposing Element. This will grant you a substantial advantage over your enemy.